The Government has set up ALLiS, a fund, to support the teaching of Asian languages in state and state-integrated schools. ALLiS supports schools by setting up new, or strengthening existing, Asian language learning programmes. Funding has been allocated to groups of schools, with particular emphasis on those that establish language learning pathways from primary through to secondary. The fund encourages greater collaboration amongst schools in partnership with external Asian language and cultural organisations. 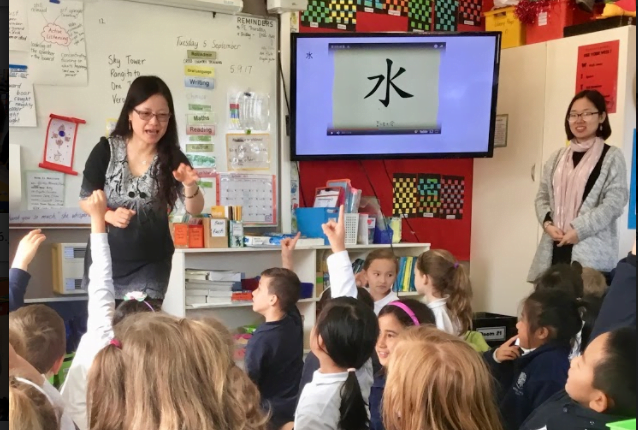 In 2016 we began teaching Chinese language and culture with our Year 2 and Year 3 students. 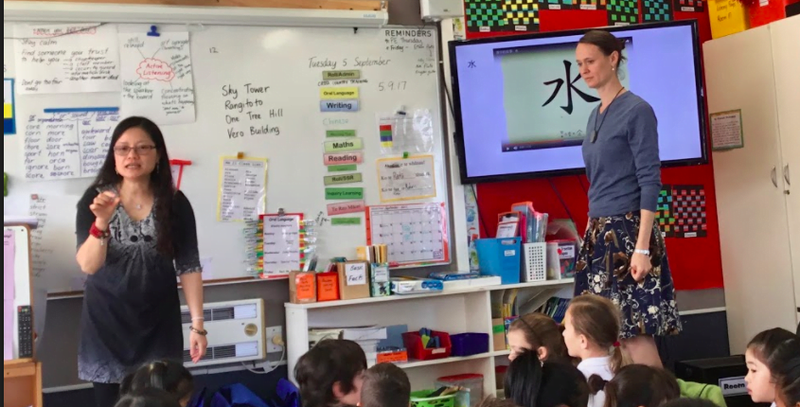 We employed a fully registered Mandarin Teacher for one day a week and due to a successful application to the New Zealand Confucius Institute in 2017 we were given a Mandarin Language Assistant (MLA) for one year. Our Chinese programme has been so well received that in 2017 we extended it to our Year 4 to Year 6 students. The Mandarin language teacher (Yu Yao Rissetto) plans, teaches and assesses students for the first eight weeks of each term while the classroom teacher observes and participates in the lessons. The last two weeks of each term the classroom teacher takes over the planning and teaching while being supported by the Mandarin language teacher. This structure ensures that the classroom teacher is participating in the modelled lessons, and receiving ongoing professional development in language teaching, in order that they can reinforce the content of the lessons during the rest of the week. This is Yu Yao working with a Year 3 class and assisted by the classroom teacher, Mrs Wills.